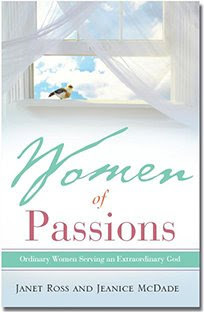 I’m giving away a copy of a Christian anthology that I have two stories in called Women of Passions: Ordinary Women Serving an Extraordinary God. Their website is: http://womenofpassions.net. It was an honor to be included in this anthology and I’m excited to give a copy out. To be entered in this giveaway all you have to do is leave a comment on this post. You’ll get an additional entry if you follow my blog and another if you link to my contest and let me know about it! Congratulations on your anthology stories. That's wonderful! Wow! I didn't know you had two stories in the anthology...that is so cool!! How long do folks have to sign in for the giveaway? Thanks guys! The contest will run until the end of April. Congrats on your latest accomplishment. Always love reading your writing! "Read These Books and Use Them"
Congrats on having your stories included in the anthology! That's awesome! Congrats on getting not one but TWO stories in the anthology! That's so great. :) Blessings. Congrats on being published again! Please enter me in the contest. Sounds like a wonderful read. I'm really excited for you! Always enjoy reading your work. I'm convinced that some day soon I'll see your name on the New York Times bestseller list.